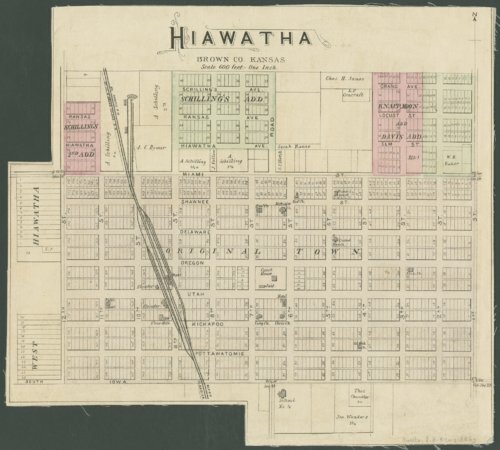 This plat shows the city of Hiawatha in Brown County, Kansas. The map has been scaled one inch to 600 hundred feet and shows blocks of the original city along with the Schilling's additions and the Knapp, Moon, and Davis additions. The rail lines for the Missouri Pacific Railroad and the St. Joseph & Grand Island Railroad are also visible on the plat.